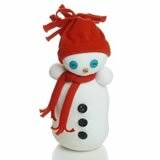 Isn't this little snowman just the cutest? I think he'll add a lot of personality to my Christmas decorations this year. 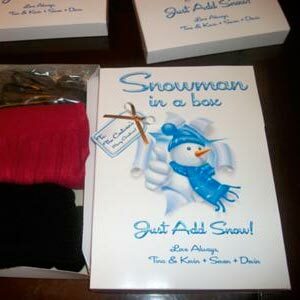 I came across the idea of sock snowmen on the sock crafts for kids page at "Danielle's Place of Crafts and Activities". 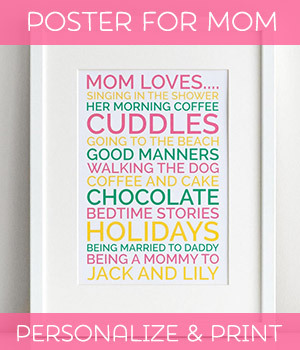 I've kept pretty closely to Danielle's method but tweaked one or two things here and there. 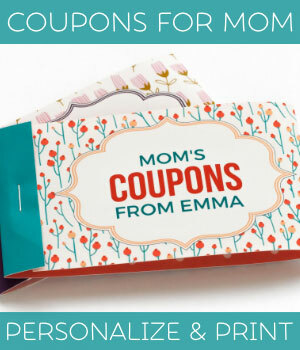 Incidentally, her site is definitely worth checking out for loads of other fun projects. The only thing that's really essential is the white sock, so don't worry if you don't have all the other stuff - you can improvise! If you don't have spare buttons for the eyes and nose you can always use twigs and stones from your garden, or just draw on a face instead. 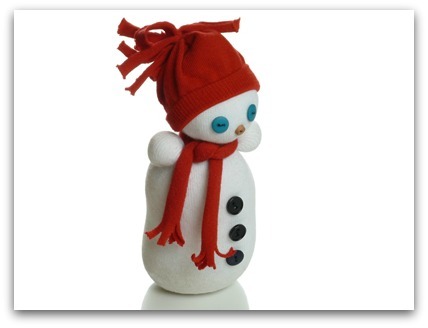 If you can't find polyester toy filling then you can just fill the snowman entirely with rice, beans, toilet paper, or the stuffing from an old pillow. 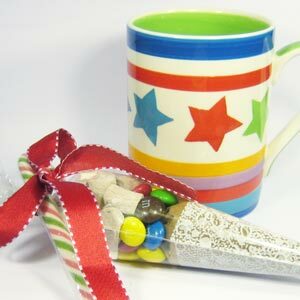 For the socks, you can use mens, womens, or kids socks, depending on the size of snowman you want. I'd recommend women's socks for a cute size. 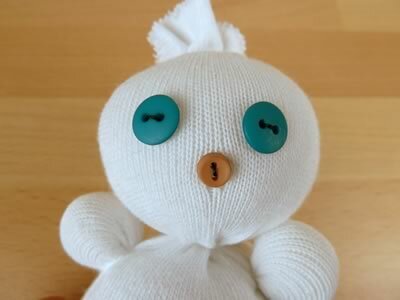 I tried using a men's socks to begin with, but the snowman was *huge*, like a giant marshmallowy door-stop. Rice base . 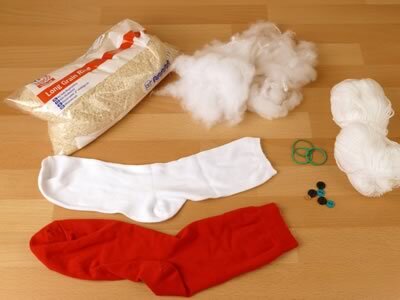 I filled the toe of the sock with about 1 inch (2.5) cm of rice before putting in the toy filling. 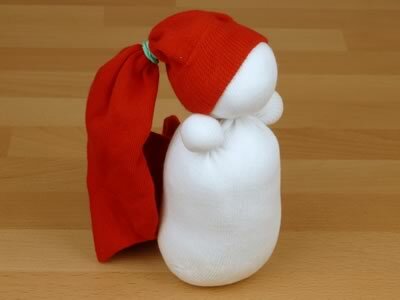 The rice at the bottom will help your sock snowman stand up on his own when he's finished. Yarn instead of rubber bands . I tied yarn next to the rubber bands, then snipped away the rubber bands. I think that twine will last better than rubber bands, because rubber bands can go crumbly over time. 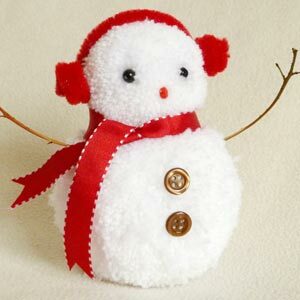 Now that you've made your snowman, it's time to decorate him! 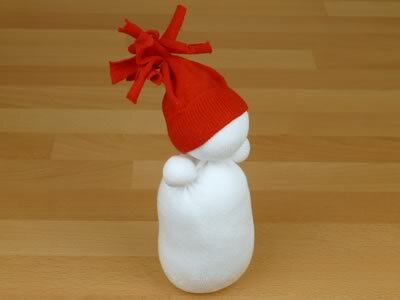 To make a beanie for your sock snowman, put the red sock on his head and tie a rubber band to mark the size of beanie you want. Snip of the excess sock, leaving about an inch spare. 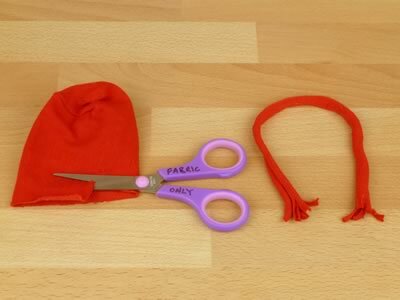 Replace the rubber band with yarn, then snip the end of the beanie into strips to make a pom pom. Glue or sew buttons for the chest and face. I sewed them them on, but honestly it was a bit fiddly and next time I think I'll just glue them on with hot glue or epoxy. 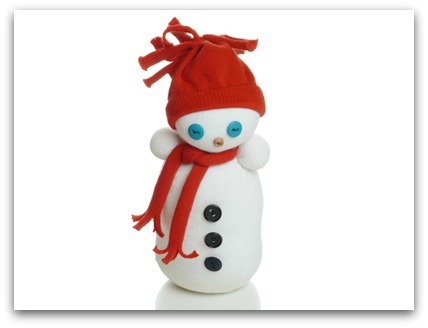 To sew on a button: sew into the snowman then through the button, keeping the thread very loose. 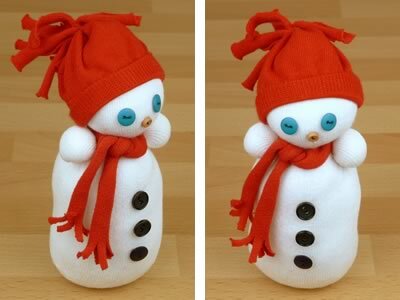 Go around two or three times, so that you have three loose loops of thread joining the button to the snowman. Then gently pull on the loose ends of thread to tighten and knot the loose ends of thread under the button. With the leftover piece of red sock cut a 1 inch strip in a spiral to make a scarf. Cutting in a spiral lets you make the scarf as long as you want. Make lots of little cuts at each end to make tassels for the scarf. 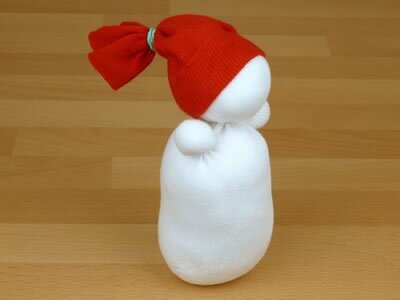 Congratulations on finishing your sock snowman! How did he turn out? If you have any questions or comments about this project, or just want to say hi, please contact me with this handy form .